Summer Sale at Trossen Robotics Through End of July! So yeah… we were thinking. What could be the best way of thanking all of our customers and letting them know how much they’re appreciated. Then the most obvious answer occurred to us: put on the biggest sale ever! Trossen Robotics is having a summer sale and would like to offer you a 10% discount on your next order!! This offer is good through July 31, 2007. Thank you for your continued interest in our products and have a wonderful day!! 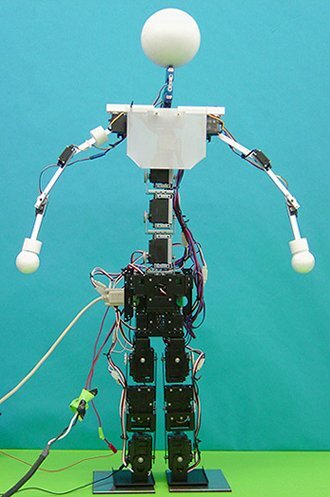 Professor Jimmy Or says he’s developed the world’s first self-supporting, walking humanoid robot with a flexible spine. Household androids, like flying cars and Martian colonies, have disappointed generations of science-fiction enthusiasts by failing to materialize. Most research in robotics has drifted toward robots that, like Mars rovers and Roombas, have no resemblance to anything living, let alone human. And while it may be cute, let’s face it: Asimo can’t dance. Bucking the trend, a small coterie of devoted professionals and amateurs are working to make fully articulated, humanoid and even sinuously dancing robots a reality.